Laser eye surgery can be a very effective form of treatment for a range of eye conditions. It can help people to avoid having to wear glasses and contact lenses, and it has improved the quality of life for many people. However, there is one thing that often prevents people from going ahead with surgery: the cost. Eye surgery is not cheap, and many people avoid going ahead with surgery because of this factor alone. Here are some more details about the factors that affect the cost of surgery, along with an option to consider for financing your surgery. Why Does the NHS Not Cover Laser Eye Surgery? The NHS does provide eye surgery, but only in cases where failing to treat the eyes would lead to serious eye problems such as a loss of vision. If you are in this situation, your doctor will be able to advise you on whether you are able to receive treatment on the NHS. However, if you have a problem with your vision that can be corrected using glasses or contact lenses, you will not be offered the option of laser surgery on the NHS, and this is where is becomes so important to find out about the costs involved. There are two key factors that affect how much you will be charged for your surgery. The first of these is the type of surgery that you require, whether that is LASIK, LASEK or PRK. As well as the type of surgery, the extent of the surgery is also important. 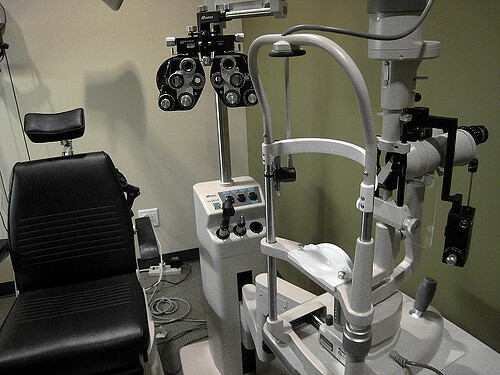 Most prices are quoted per eye, so if you require surgery in both eyes, this will obviously cost you more. The second factor is the clinic where you receive the treatment. Some clinics will charge a lot more for their surgery than others, and this can be affected by the clinic’s reputation, location and the specialists working there. There are many sources online where you can find out more about the advantages of laser eye surgery, so make sure you do your research before deciding on this option for your treatment. One option that you may not have looked into yet is the option of financing from the clinic carrying out the surgery. Many clinics provide their own financing options to help their patients get access to the treatment, and these can often be very good. For example, you may be able to get up to 12 or 24 months of interest-free financing for your surgery, which can make covering the costs a lot easier. There are many factors that can affect the cost of surgery, so it is worth knowing about these so that you can start looking for the most suitable option for your own treatment. Also, don’t automatically assume that you cannot benefit from surgery because of the cost. You may well find a financing option that is suitable for you, so look around and see what you can find. Scarlett Brennan is a student in her 3rd year of medical school, studying ophthalmology. She enjoys furthering her knowledge in her spare time by researching and writing articles on all aspects of eye health.